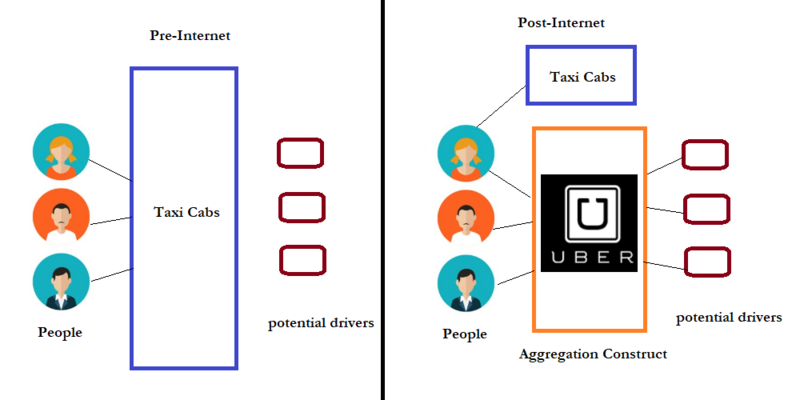 In this piece, I explain the Aggregation Construct using many case studies. Two Nigerian startups OgaVenue, event venue marketplace, and Printivo, digital printing, firms are included. Under the aggregation construct, the companies that control the value are not usually the ones that created them. 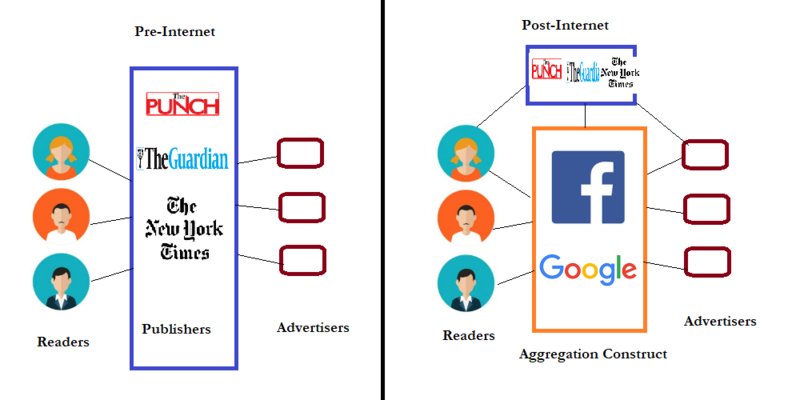 Google News and Facebook control news distribution in Nigeria than Guardian, ThisDay and others. Because the MNCs tech firms “own” the audience and the customers, the advertisers focus on them, hoping to reach the readers through them. Just like that, the news creators have been systematically sidelined as they earn lesser and lesser from their works. But the aggregators like Facebook and Google smile to the bank. The reason why this happens is because of the abundance which Internet makes possible. Everyone has access to more users but that does not correlate to more revenue because the money goes to people that can help simplify the experiences to the users who will not prefer to be visiting all the news site to get any information they want. They go to Google and search and then Google takes them to the website in Nigeria with the information. Advertisers understand the value created is now with Google which simplifies that process. 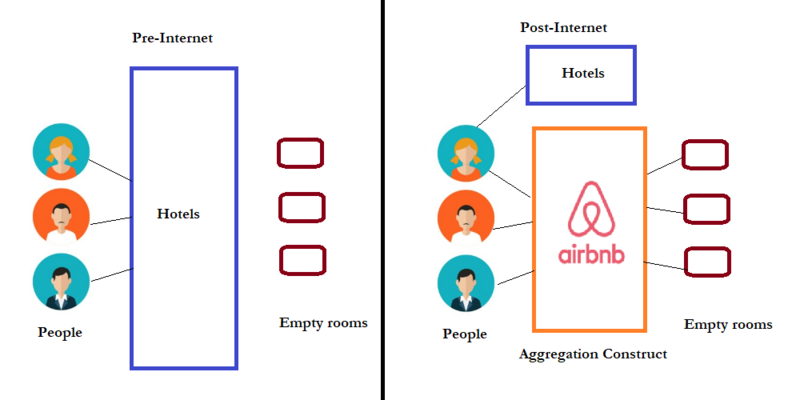 Airbnb and Uber are discussed; they respectively aggregate available temporary accommodations and taxi services, at scale, while necessarily not creating them.